And of course it has to be when I don't have any money. Looks like something else that I probably won't be able to ever get. Oh very tempting, but I really hate ordering toys online. I always get the crappy ones. But on another note. I finally found Caprice!!! I was so shocked to see two of her just sitting there. And of course lots of the pink one and Skyra. Now the hunt for Fawntine, Olympia and Flara continues. Just curious if these are all the ones released so far? I have to say that I picked up the Yeti one and it is stunning! Yep, those are all of them! I ordered Meadoe and Merry the other night ^^ I couldn't resist! I hope they arrive soon. I just got the two new ones in the mail, and oh my goodness they're gorgeous! Merry's horn is really odd, to me, but thankfully it was quite easy to remove (it just pulls right out). So much cuter without it, in my opinion! Meadoe got here yesterday, been too busy to really get a good look at her but from what I've seen she's gorgeous. Also I'm wondering, it seems obvious she'd come to Marisol and Abbey's dreams- but what about Isi and the other deer-related characters? Can ALL of them go to Avea's? I'm curios about this whole dream thing. I collect MLP, MMPR, MH, DCSHG, Jem, & ATCs. Meadoe and Merry arrived from Amazon this morning! Now the only one I am missing is Fretz. I can't seem to find her anywhere. Meadoe and Merry arrived today They're *gorgeous*, even prettier than I was expecting. Merry reminds me of a cross between G3 Minty (MLP) and Lord Dominator (Wander over Yonder), haha. So beautiful. Just wanted to show the frightmare fans my latest re-repaint of Aery/Onyx. She is super cute! I actually like that you redid the original style eyebrows. The side glance makes her look so much more devious. Awesome job! She looks amazing. That expression makes her look fierce and somehow... a prankster? Thank you everyone! I think she looks so much better than my first attempt definitely. Fright-mare reunion at home today! Are Fright-Mares dead? 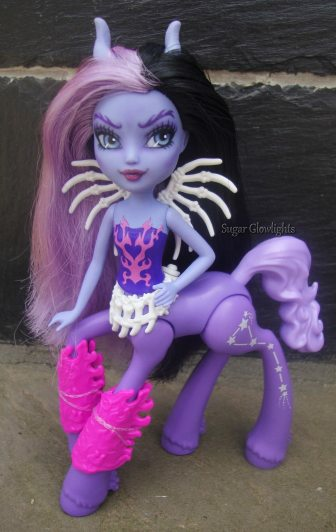 Mega Bloks Monster High not far behind? Re: Are Fright-Mares dead? Mega Bloks Monster High not far behind? The Fright-Mares might be done though, I think you might be right about there not being any after the carousel and yeti ones.